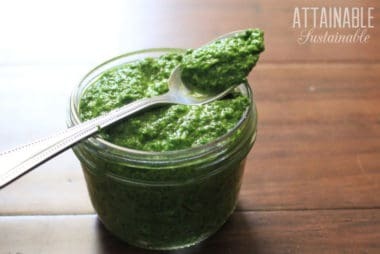 This collection of condiments, dips, spreads, and snack recipes to make right in your kitchen will cut your grocery bill and reduce the amount of single-use plastic that enters your home. Cutting your dependence on these store-bought convenience items is easy! 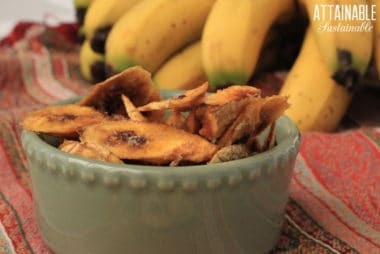 Pick one or two of my favorite condiment or snack recipes and give homemade a try. Inspired to really revamp your pantry? Check out my book, Off the Shelf: Homemade Alternatives to the Condiments, Toppings, and Snacks You Love! 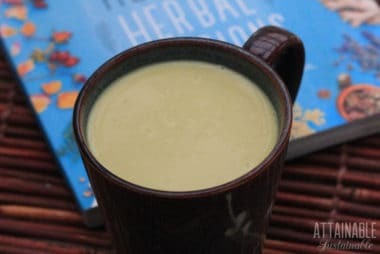 This recipe for turmeric milk is easy to make & can be helpful for easing the discomfort of inflammation. 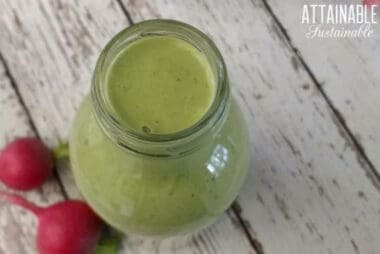 It’s a delicious recipe for golden milk goodness. 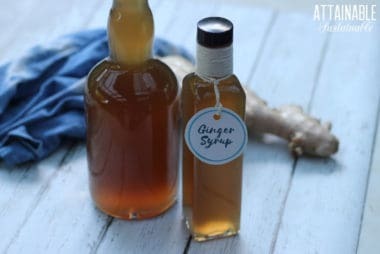 With a flavorful punch, this ginger simple syrup is a great addition to drinks, baked goods, & marinades. 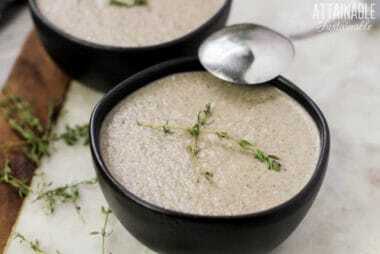 Or try it in salad dressing! This neon-bright spice has a distinctive flavor that’s used frequently in Indian cuisine. 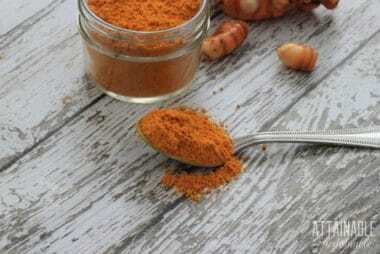 You can make turmeric powder at home from turmeric roots for a fresher product to use in curries and tea.